The Crown by Beedie! Only 2 years old, this unit features 2 beds/2 baths & breathtaking North West views from the 25th floor! Beautiful high-end finishing throughout in the winter white colour scheme. Gourmet kitchen features high profile granite countertops, marble herringbone backsplace & stainless steel appliances with gas stove. Laminate floors & expansive windows throughout this spacious corner unit. 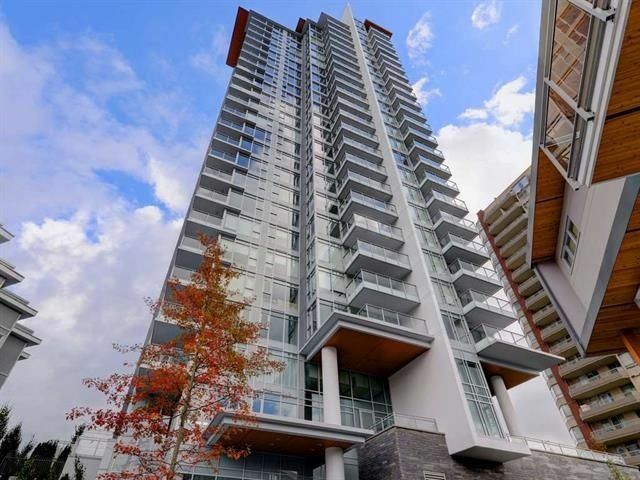 Walk to Burquitlam sky train station, shopping and amenities. Fast 10 minute commute to SFU. TWO secure underground parking stalls and 1 storage locker. Resort like building amenities including fully equipped gym, guest suite, meeting room with kitchen and TV lounge area, outdoor BBQ and seating. Rental and pets allowed! Great tenants paying 2500/m + would like to stay!